Governments, Prioritize the Mass Cultivation of Moringa Tree! 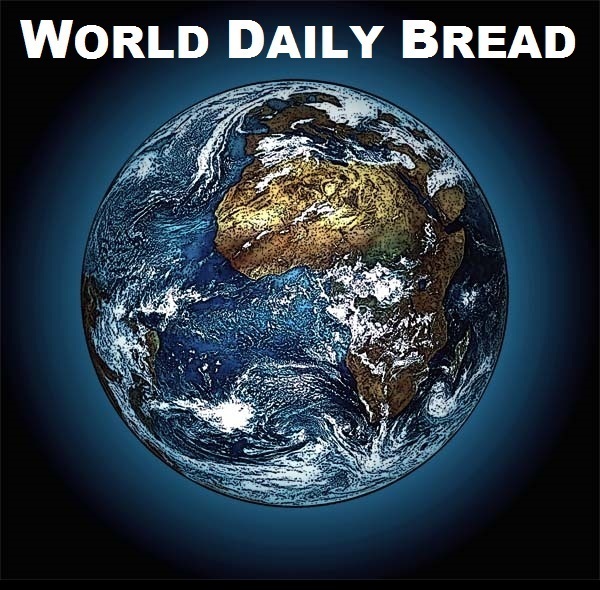 According to Bread for the World, 1.2 billion people on this planet are malnourished, and this number is increasing each year!3 That’s 15 percent of the world’s population, and many of these are children. In fact, every day 16,000 children die from hunger related causes. Leaders over the nations, and those in positions of authority where they could implement local agricultural projects, should therefore, urgently embark on preparation works which could reduce the suffering of their people during the years of the great famine. Mass cultivation of the moringa oleifera tree is among the best preparations for the days of hunger. These tiny leaves could potentially save billions of lives in the future, and end the malnutrition of hundreds of millions of people today and the starvation deaths of tens of thousands of children every year. These nutritious leaves can be dried and powdered for future use and will keep for months without refrigeration. The moringa leaf has 7 times the vitamin C of oranges; 4 times the vitamin A of carrots; 4 times the calcium of milk; 3 times the potassium of bananas; 2 times the protein of yoghurt – nature’s gift to those who cannot afford the luxury foods that contain these vital nutrients. Again, as the Creator’s act of mercy, the amazing thing about moringa is that it grows in almost exactly in the same places where it is needed most, where malnutrition is most prevalent. The pods, or drumsticks, are useful at several stages as they grow and mature. The immature pods are cooked and eaten like green beans or used in a stir fry. The diced pods can also be roasted, boiled or steamed as you would okra. The flowers and buds can be eaten raw or cooked, and bees make a delightful honey from their nectar. The seeds contain about 30-35 percent edible vegetable oil. They can be harvested when at the ‘green bean’ stage and cooked like you would peas. When mature and left to dry, they can be stored for over a year and cooked as you would dried beans. A sweet tasting oil can be extracted from moringa seeds in a simple press and used for cooking, lubrication, soaps and cosmetic creams. Because the oil burns without smoke, it’s also ideal for lamps and cook stoves. Moringa oleifera produces a heavy crop of these seeds, sometimes amounting to 200 to 300 pounds per mature tree. 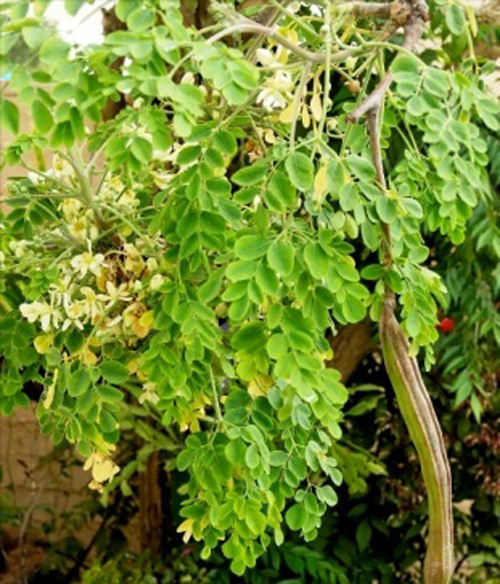 Experts say moringa could become a valuable food source and nutritional supplement for malnourished children and pregnant mothers in the developing world. A study conducted in Senegal examined how successful moringa leaf powder could be in preventing or curing malnutrition in pregnant women, breast-feeding mothers, and children. The results showed that the children maintained or increased their weight, and the women were less anemic and gave birth to healthier babies. Moringa’s miraculous benefits are not limited to nutrition. A billion people across Asia, Africa, and Latin America are estimated to rely on untreated surface water for their daily needs. Of these, two million are thought to die from diseases caught from contaminated water every year, with the majority of these deaths occurring among children under five years of age. Moringa seed powder can be used as a quick and simple method for cleaning dirty surface water. Studies showed that this simple method of filtering not only diminishes water pollution, but also harmful bacteria. The moringa powder joins with the solids in the water and sinks to the bottom. This treatment also removes 90-99% of bacteria contained in water. Is there any other food source as beneficial to man as the moringa oleifera and which has the same potential to save masses of people from starvation and malnutrition? The wise government will keep mass cultivation of this miracle tree among its top agricultural priorities. 1 See article in this section, ‘The Century of Famine‘ by Peter Goodchild. Among other researchers who predict a global famine are researchers from the University of Leeds who warn that a globally disastrous reduction in crop yields may happen as early as 2030 due to increasing global temperatures.